I don’t know about your family during the school year but ours gets pretty busy! Holiday programs, snow days, field trips, running school programs, packing lunches, gardening, completing homework – and that isn’t even the half of it! Our entire family is heavily involved in our school and between balancing school life and blogging I have found that our household chores are lacking quite a bit! My husband and I have been brainstorming on ways to make life simpler for us this year and I want to share with you some of these ideas that have really been helping out our family. These little simple ideas go a long way to helping our family and household life run a lot smoother! Find some new ideas below, tweak what you see to meet your family’s needs, and let us know some simple time savers that your family embraces! Hah yes, this may sound like a funny time saver so let me explain! We are a HUGE animal loving family. We have a dog, a pot belly pig, a rabbit, 13 chickens, 2 “official” cats and about 10 stray barn cats that we tend to care for. Do you have any idea how much water these animals go through?! We have water dishes everywhere and it was taking FOREVER to fill all of their dishes so often. Not to mention in the winter when our lines freeze and we can’t use a hose it was a huge pain to try and get water out to the chicken house! So we bought a giant water jug for under $10, fill it up twice, and walk around and fill up all of the animal dishes! 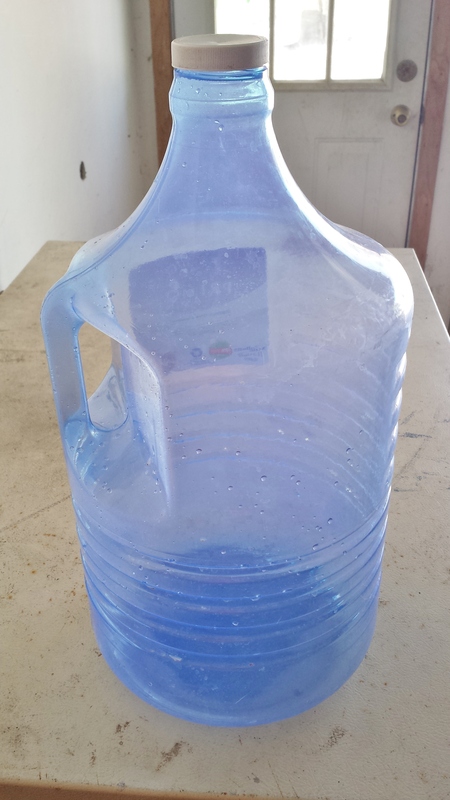 It literally saves us at least 20 minutes every time we go out to water the animals! 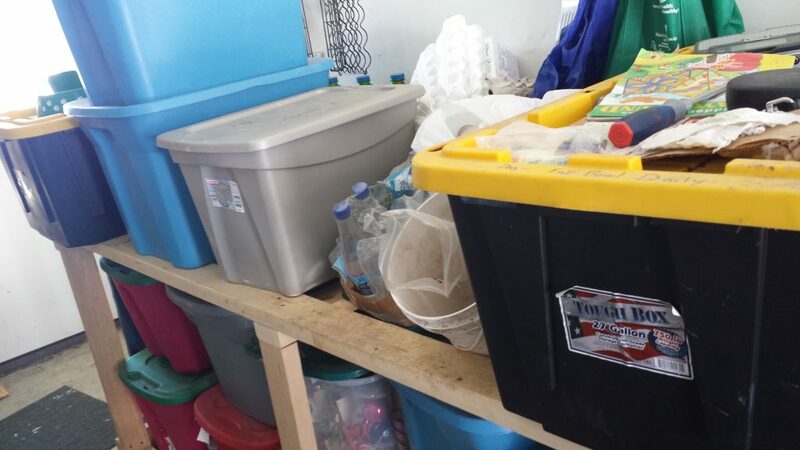 We also invested in several inexpensive large storage containers that we have lined up in the garage – one for each set of animal feed. On the top of the containers we wrote how much each set of animals get and it’s incredibly simple to go down the line and feed everyone as well as know exactly how much feed we have! No more animals getting into bags and ripping them apart or going all over the yard to find everyone’s food! We received some samples of Tide Pods and Gain Flings! from P&G and oh boy have they made life SO much easier! If I’m at school or I’m blogging guess what’s NOT getting done? My laundry! So lately we’ve been piling up all of our laundry loads to get done during the weekend….when we’re running errands or out having fun with the kids. So the last thing I want to do is work in the laundry room! I can now quickly run into the laundry room, swap all the laundry around and throw in one of these easily little detergent pods! I store them in a small open dish by our washer so that I don’t even have to open a container to get to them. (seriously – every second counts!) Plus for my extra dirty loads (which we have plenty of lately thanks to the muddy mucky snowy yard!) the Gain Flings! also contain Oxi-Clean and Febreeze! AND they have 50% more scent so don’t worry about not being able to have the nice laundry aroma! Or go with the Tide Pods which contain a stain remover and brightener in one little pod! Trust me, with 2 boys living out in the country my family absolutely must have a stain remover in our laundry detergent! You can find these easy time savers for your household at Target! We ALL know how it is to wake up in the morning and realize you didn’t make your kid’s school lunch the night before! AH! Trust me….I do it almost every morning! 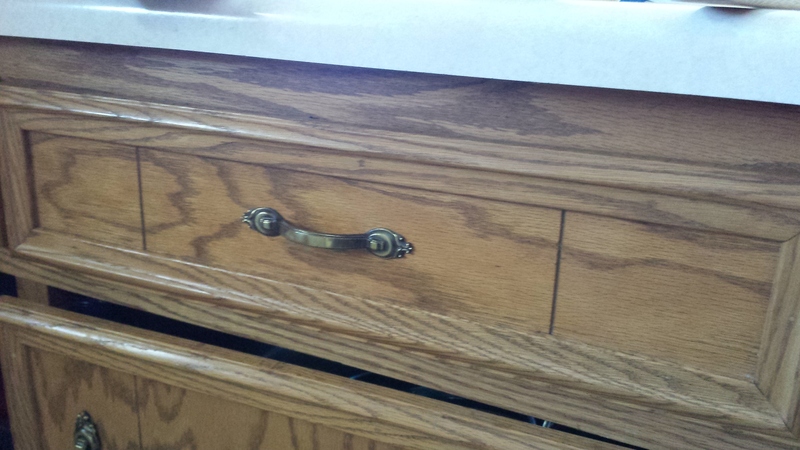 So we have designated one of our kitchen drawers to be our “snack” drawer. Not only does it give kids access to snacks when they come home from school but it is my “go-to” place when filling up my kid’s lunchboxes at the last minute! I pre-separate out little bags of sunflower seeds, walnuts, cereal, crackers or other things that I have purchased in bulk for their lunches so that during the week I can literally just open the drawer, grab them and dump them in the lunch box. You can also designate a drawer in your fridge for the same thing and fill it with apples, string cheese, yogurt, etc. I have learned part of saving me time, and sanity, and staying organized is containers. They come in all shapes and sizes and they are a mom’s best friend! Each of my kids have one container in the living room where their toys are allowed to go – otherwise everything else must be downstairs in the play area. My bathroom closet is organized by containers and broken down by oral hygiene, cold/flu meds, children’s meds, etc. We have a “letter” container mounted on the wall by the door where bills and checks go as soon as we receive them so we don’t lose them. I’ve already told you about my little container for my Tide Pods and Gain Flings! I also have containers for bath toys, my camera equipment, craft supplies, my tea bags and coffee pods, and pretty much everything else you can think of! 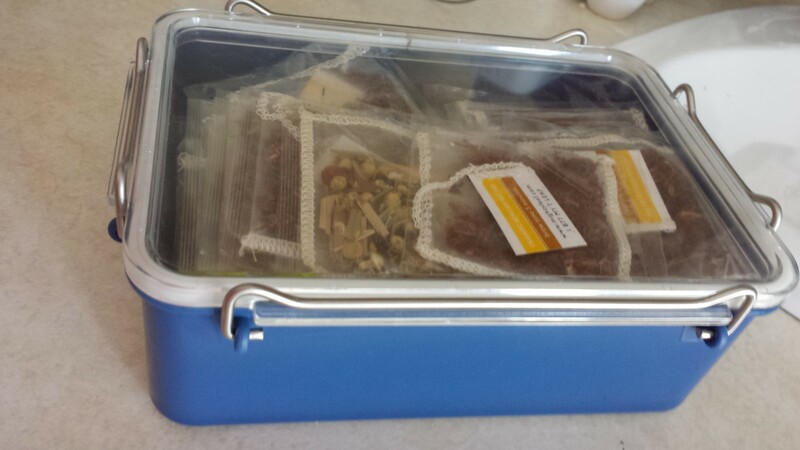 *Pre-make several meals at a time and freeze them for when you’re too busy to cook! *Use apps or a list in your kitchen to keep track of grocery needs! No more forgetting! *Place a basket by each door for shoes to stay in at all times! No more searching for shoes! *Pre-make lunches and set out clothes the night before school. *Pre-make dinner in the crockpot the night before, fridge it overnight, and slow cook in the day. What are some of your best time savers for a busy household? 15 Ways to Recycle your Empty Laundry Detergent Containers 5 EASY TIPS to Make Laundry Chores Less Stressful College Care Package Ideas for Girls: Everything They Need! College Care Package Ideas for Guys with Tips to Buy for Your College Kid 10 Things to Label as Your Child Heads off to School How my Cell Phone Helps me Stay on Track Keep Your Belongings Safe During the Back to School Frenzy DIY Stylish Recycled Organizer Box 5 Tips for Buying an Organizational Planner Inexpensive Shoe Organization Organizing Your Kids Stuff – It IS Possible (Most of the Time!) Organizing Your Bathroom and Medicine Closets Organizing Schedules and Appointments – Never Miss an Appointment Again! Decorating Simply to Reduce Clutter Organizing Bedroom Closets – AKA The Black Hole Starting Organization in the Work Space – Getting Your Office Tidy But I Can’t Afford those Pretty Organizational Containers! Me neither! But I Just Don’t Have TIME to Organize!?!?!?! Me Neither! Your life sounds a lot like mine…pet care and laundry take up a lot of time! I haven’t tried those little laundry detergent packs. THey look convenient! I’m obsessed with my Gain flings! I haven’t tried Tide yet but will! These are great time saving tips! We’d go nuts without a snack drawer! Planning ahead is always our biggest time saver! These are great tips! I also prep all my produce when I get home from the grocery store. Carrots are washed and divided into snack bags and placed in the fridge. If I’ve picked up produce for specific dinners, I prep it then too. i.e I cut onions and freeze for fajitas By doing it all at once, I’m only having to clean up produce mess once a week instead of multiple times daily! I need to implement your tip of a shoe basket by each door. Mine get out of hand! Great ideas! You’re so right — every second counts when you’re a busy mom. I need more timesavers when it comes to household chores like cleaning. Well, mostly with cleaning. One timesaver I use is online bill pay. Seriously, I don’t know how my bills got paid before we had internet!! I love the pod washing detergents, and they will be fabulous for our daughter when she goes to college in fall! I haven’t tried the Flings yet, but really want to, as I love the P&G Scent Beads, I bet these will give just as good a scent but be even easier to use. Preparing things ahead of time is always a time saver. I’ll do things like cut up extra veggies at the beginning of the week to use in recipes all week long – or freeze some to use even later. I make school lunches the night before and I make sure my daughter has set her clothes out & has her back pack ready. I also set out my sons clothes the night before and make sure their bags are ready with exception of putting their lunch box in bag. I also ask the kids what they may want for breakfast the night before< AS I cook for them each morning. I agree with all of those ideas, especially the snack drawer and the containers. I love to find new uses for containers. I’m digging the pod trend for laundry. It makes things so much easier, neater, and nothing to clean up! We have two huge dogs, so a giant water jug is a must! We just upgraded to an even bigger one so we don’t have as many refills! I REALLY like your animal ideas- – mostly because we are getting chickens, and have a dog and 2 cats here. we have the tide pods that I LOVE to use and I kept the container the first round came in. i’m actually thinking about doing a craft/fabric cover for it so it’s prettier to look at…. We have a snack cabinet that stays fully stocked. For the baby, we pour all of his bottles for the day early in the morning. When you have a hungry baby, there’s no time to fix the bottle then! I always have an on-going grocery list on my phone. I like the idea of placing a basket by the door for shoes! With children, I’m sure we all think about time savers. We love easy pre bagged snacks here. Love the snack idea! Plus it helps with portion control! Love these tips! I love the pods for dishwashing but I haven’t switched for laundry yet. We have a snack drawer, too- it really is a time saver. I love Tide. Just saw the Gain packs in the store today.